Basal medium is serum-free and contains essential additives to maintain visceral cells. It can be supplemented for specific research purposes. The medium is available in 500ml bottles and is ready-to-use upon arrival. 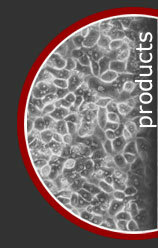 Preadipocyte medium is used to plate preadipocytes prior to differentiation and contains growth factors necessary for expansion of visceral preadipocytes. The medium is available in 500ml bottles and is ready-to-use upon arrival. Differentiation medium is used to differentiate visceral preadipocytes to mature adipocytes in culture. The medium is available in 100ml or 500ml bottles and is ready-to-use upon arrival. Cryopreservation medium is used for long-term cryopreservation of visceral preadipocytes. This medium has been specifically formulated for optimized recovery of human preadipocytes after thawing. It is available in 100ml bottles.